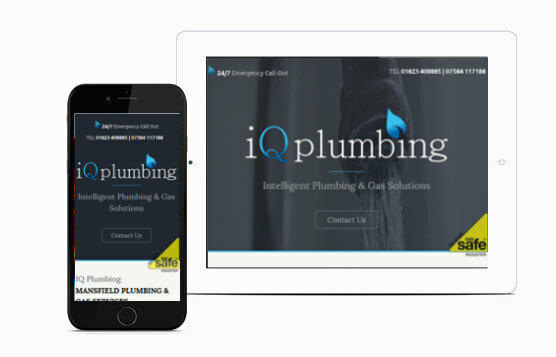 IQ Plumbing are a local company that wanted a 2 page professional web presence to match their identity. From our initial discussions it was clear IQ Plumbing liked the modern, clean and spacious look in a website. On this project we had minimal images to work with so we used just 4 in total with a bit of parallax scrolling on the background to give the site an attractive flow. Being only 2 pages it is important we display enough information for visitors to understand the services offered but not too much to overload the page an make it confusing. The site is designed to expand easily if required in the future, it is fully responsive for all devices and optimised for Mansfield plumber/plumbing.